We are a leading Manufacturer of power cylinder and industrial pneumatic cylinders from Thane, India. Mounting Front Flange, RT, CT, Fork, etc. 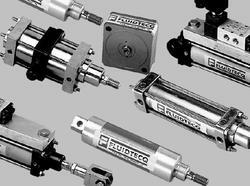 FLUIDTECQ Pneumatic Power Cylinders are designed for your precision requirements. Contact our sales office now! 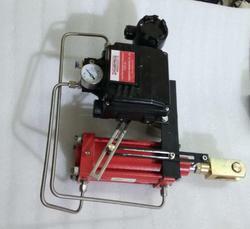 Pneumatic cylinder (sometimes known as air cylinders) are mechanical devices which produce force, often in combination with movement and are powered by compressed gas (typically air). Our pneumatic cylinders and solenoid valves are subject to durability and versatility. Looking for Pneumatic Cylinders ?